Barley just wants to be a regular barkeeper. Grind his gears though - steam comes out and bottles start flying. Strong zone control to keep enemies contained or away from an area. Damage over time ability to delay healing effects of out of combat enemies. Can damage over walls, giving an advantage over shooters. Extremely large zoning super move with kill potential. 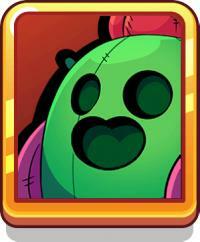 Squishy, one of the lowest healths of any brawler. Bottles take a long time to hit, quite easy to dodge. Total bottle damage is not very high, and not guaranteed to do its full damage. A difficult brawler to use, and missing shots is very punishing. Attack is the most useful, as a backline zone controller, Barley's only purpose is to keep enemies in certain areas with his damage. His special can be devastating if used correctly, and damage upgrades make it more so. Use walls to your advantage, most enemies cannot shoot over walls, and usually only their super can go through the walls, use this to dodge their shots while hurting them to force kill potential or a retreat. 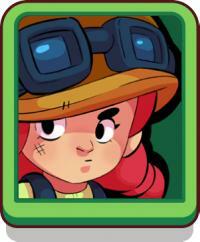 No direct engagements, Barley has no advantage for going close besides throw time, he is not a Bull or Shelly who can do extra for being close up. If an enemy has gotten through your team and is trying to assassinate you, try to go through their character so they can miss shots, buying time for your team to assist you. Aim for where they will be, most of the time when a bottle flies the enemy will walk backwards, so aim a little behind them for maximum effect. They can eventually learn, so try forwards if you see them run at you a lot. Barley throws faster the closer the target is to him, so you can leave a bottle on top of your current very quickly if you are being chased. Use the early game to charge your super, you will usually not have kill pressure without the super move. Try to use it to force the enemy where you want, behind them to hurt them during a retreat, or in front of them to prevent them from reaching your team. Use your super on multiple targets, this will maximize your damage potential and charge your next super faster. Do not aim for where the target is currently, the bottles still take time to fly and you will be wasting a lot if you miss your super. Barley is decent in Smash & Grab due to his zoning. Use your bottles to check bushes, trap enemies, and keep them off the mine. In this mode, you know the enemy will try to get gems, so you can put your bottle on one when an enemy approaches it for almost guaranteed damage and super charging. Try not to pick up gems, as with a small misposition you can easily be robbed of your team's gems. Harass enemies over walls constantly, Primos and Shellys cannot hurt you over walls without their supers, use this to your advantage. Look for grouped boxes to hit, you can burn two or more at once potentially. Check bushes frequently, people love to bully Barley in this mode. Stay on the edges of the gas, you do not want to be surrounded by Primos. 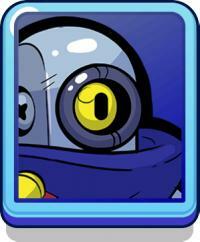 Charge your super, you are much weaker without it, especially compared to common Showdown brawlers like Primo, Shelly, or Bull. Use your bottles to create a trap at the center star at the start of the match. Stay back and use the walls to your advantage, harassing enemies and protecting your team with zoning bottles. Be extremely careful for bushwacks, enemy will eventually become extremely annoyed with your harass and you will seem like a free kill. Throw bottles over walls to damage the safe for incredible damage, even from far distances. 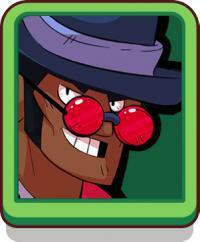 Offensively, Barley is extremely strong, and he is strong in defense as well, but a bit harder to use. Catch enemies in choke points to damage with bottles, on both offense and defense you should be able to know the enemy's destination. If you walk next to safe and juke, you can hit enemies and safe with your bottles, charging super and giving you an even more annoying safe attack. This one's on the house! Barley hurls a flurry of fiery bottles, covering a huge area in flames. Get out of there, bad guys! #8PPVY8JL is the club tag. We will get you good fast! 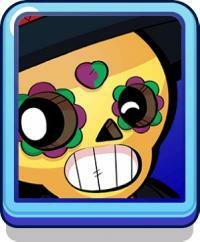 When will brawl stars be released? 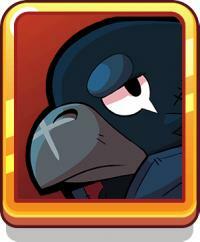 Unique features of Brawl Stars? How can I install the app?